Welcome to new members Mark and Sandy Gifford, Robert Peake, Elke Schreiber, Brian Klimowski and Michael and Jessica Mount!! Welcome Bonnie Miller and Mark Elder to the Board and say a big thanks to Greg Griffin and Steve Moody for their service!!! Here’s the latest from the club. We've outgrown our long-time venue and are upgrading a wee bit. Regular monthly club meetings will continue to be held on the last Monday of each month. Doors are open at 5:45 PM at we now meet at Sedona Christ Lutheran Church, 25 Chapel Rd, Sedona, AZ 86336, this is one roundabout north of where we used to meet. We put up a web page dedicated to our mentoring program. It will hold all of the materials we have for the programs we run. It's accessed by clicking on the Member's Area link on the club's website. Here's a shortcut! The second session is coming up fast - June 13, 2016 - Lightroom Library Module (Lightroom and never lose or destroy an original image and always be able to find it and any processed image quickly!)! Why Lightroom (Adobe Camera Raw and Adobe Photoshop)? - Simple, we have a number of members with expertise using these products, and they are the industry standard. As a Club, this is our base. Many members also use other products and plugins, but in the main, this is in addition to these core products. Stay tuned for more developments. If you are new and would like to get involved with the June 6 session on Lightroom/Adobe Camera Raw, let Roger (rekiel@mac.com) or Stephanie (stephanieb904@gmail.com) know right away (and please read the documents before you come to the session). The Board would like the membership to consider the club becoming a non-profit entity (501c3). More on this as we develop the concept. We hope to have everything in place to put this to a vote on early in the fall. Why change??? Well, we are currently essentially a non-entity. This leaves us exposed and unable to participate with some other members of our community. As I said, more on this as it develops. We just wanted to falg this for future consideration. Bob Coates will be critiquing images submitted by members live and on the fly. This is a fantastic opportunity to see and hear how the professional judges/critiquers carry out this important task. Critiquing is an important skill and can be improved with a combination of practice and education. This is truly an incredible educational highlight for the summer. Remember, critiquing is both a perk and requirement for our advanced members. Watch the website!!! This summer will get busier by the day. Fantastic to see so many members of the Club participating in the choosing the images which will hold the title *Best of the Year* for 2016. And you made some great choices. We now have your picks for the digital intermediate and advanced images, as well as the best color, mono and creative prints. Come to the Year End Celebration to find out who the awards go to, and to take part in making the choice for the best “digital” and best “print” image for the year (just to top everything off). You must admit, we've had some amazing images coming into the Club competitions this year. WOW – it’s nice to see so many folks will be coming to the party on Monday, May 16th. If you are one of the few holding out, we’d love to see you and ask that you please consider being a part of this social event. Call or email Greg Griffin now at x. He’s keeping track of the food, wine and beer budget. Thanks for letting Greg know!!! (fireyogi1@msn.com or 760-220-2605). What do long-time members Pat Heard and Roger Kiel have in common? You’re right, I can’t tell you in an email, and you wouldn’t believe it even if you read it on the internet… Be at the party on the 16th and all will be revealed!!! Your Board met yesterday and the program for next year is coming together. The speakers and trips look incredible. This goes for events this summer as well. Keep your eyes on the website and your email for more information. If you have ideas for speakers and/or trips, please let us know - send me your suggestions. Mentoring you ask, Stephanie and Roger will be back with the plan for the coming year shortly... Haven't they done a great job in leading things this year!! We’ve also been talking about meeting venues. With well over 125 members and a very interested public, we’re outgrowing our current location. Stay tuned as this topic evolves. Last but not least… we look forward to seeing you on the 16th! 1) Please Cast Your Vote! Your getting this note because you haven't done so yet... We want your picks!!! Here are the links for reviewing the images and for making your selections for the 2016 Sedona Camera Club's *Best of the Year* images. Please take a few moments to select your favorites. For those unable to attend last evenings meeting, the worksheet/ballot we handed out at last night is at: http://test.sedonacameraclub.com/PDFs/2016SaolonImages.pdf. You can print it off and use it as you review the images. Voting closes on Monday, May 2 at 5pm local time. If you have any questions, please email me. Salon, our celebration for a great year (and our last scheduled meeting in the Club year) is Monday, May 16th from 6-745 pm at the Sedona Arts Center (the Barn). We need a count please. If you did not register at last nights meeting, and plan to attend, please contact Greg Griffin - (fireyogi1@msn.com or 760-220-2605). We look forward to seeing you there! Please get in touch with Greg. Thank you to Eric Gofreed for leading a second "Raptor Shoot" in April. Stay tuned for upcoming events. We should have a great summer coming up! First, let me thank Greg Griffin and Steve Moody for thier service to the Club. Greg leaves the Board after serving three years as a Board Member, and Steve after two serving as the Print Chair and 3rd VP. Thank you both very much! A big welcome to Bonnie and Mark! Thank you and we'll see you at SALON! Welcome to new Club members – Sandy and Mike Gifford, Robert Peake and Elke Schreiber! We look forward to having you with us. To John Murphy for leading a number of workshops on Macro Photography! And to Roger Kiel and Stephanie Brand for organizing the mentoring program and opportunities. We’ll open the next club meeting by sharing the results from the April competition, and move into the process of you selecting the Best Images submitted into the Club’s competitions over the past year. We have had a great year in terms of competitions! Across the Club, the images have been stunning. To date, 47 members have submitted images this year vs 39 last year. At the meeting, you will receive a page listing all of the images in this years “Best of the Year” voting. It will include 1st through 3rd place in all of our competition categories: Digital (Advanced and Intermediate) and Print (Color, Mono and Creative). For those unable to attend the meeting, we’ll also provide folks with the ability to cast a vote online. And we do want to have everyone vote! I encourage everyone to watch the video series of Bob Coates addressing the Club on the topic of Critiquing. In this instance you are only that you pick your favorites, but Bob does a good job in helping you understand what judges are looking for. Put this one on your calendar now… This is a social gathering and celebration! We’ve had a very good year with many trips, a big focus on education and mentoring as well as a lively monthly competition scene. Membership is at an all time high, with 125 members. As a Board, we look forward to having everyone there in a much more informal setting. Watch the website and listen for new trips and details at the meetings!!! We'll have a summer program up shortly. Thank you for your time - we look forward to seeing everyone on the 25th. Each year in March Colleen shares her experiences and knowledge with the club. She’s one of our top speakers and well worth coming to hear. She also always gives us a shooting challenge that will be shared/discussed during the workshop. This year it’s about TRIANGLES IN NATURE. If you new to the club or hesitant to share your work – get uncomfortable and take the challenge! This is what we’re all about, taking and sharing images. You have until the end of Sunday to get her your images. We want to see your images! Another fantastic opportunity to show your work! Dave needs your titles and information now. He’ll need your images at the meeting on the 28th. He also needs some assistance setting up the show. Please contact him now at cinnamonstix039@yahoo.com (928-634-5236). Take advantage of this great opportunity!! Mark May 16th on your calendar! We have 120+ members and look forward to seeing everyone at the Barn as we have a wee party and honor our members and your images (behind the Sedona Arts Center, 6pm). Eat, drink and celebrate a fantastic year for the club and its members. This will be a mix between a potluck and supplied event. The club will supply beer, wine and soft-drinks. And did I mention door prizes??? Remember, our April workshop will be a lead-in to the event as we celebrate all of the images receiving 1st, 2nd and 3rd place finishes throughout the year. More importantly, you’ll be helping select the Best of the Year in the Print (color, monochrome and creative) and Digital (advanced and intermediate) images. WOW – your peers did well at this event. As a club we entered 80 images and brought home 49 ribbons! Hats off to John Gafford with the “Best of Show” shot and the “Bob Metz Distinguished Monochrome” (among many other ribbons). Bill Belvin received the “Excellence in Landscape Photography” award (also many other ribbons). Our other members taking part and bringing home awards were Elaine Belvin, Stephanie Brand, Greg Griffin, Wayne Johnson, Roger Kiel and Steve Moody. Fantastic showing, congratulations!!! Have a wonderful weekend and we'll see you all on the 28th! Please get your CLARKDALE SHOW titles and images to Dave, and your CHALLENGE images to Colleen! Looking ahead, I’d like to wish a fantastic trip all those heading off Arches and Canyonlands National Parks tomorrow. Happy shooting! A. Here are a few items following last evenings workshop/meeting. Brad Kincaid spoke of three documents to be used to support informing folks about SCC Trips. Here they are – please read. C. Remember, the Mentoring Events for March and please contact Roger Kiel immediately if you haven’t already and plan to attend - rekiel@mac.com. If you are new to the club, please feel free to get involved! D. Educational Links – Sorry, I dropped the ball on this last month. Thank you to all those who reminded me to put them back in! Two additional items for the newsletter. 2) The following weekend, the Arizona Camera Club Council have and event in Prescott, the "Photo Forum under the Pines". Here is a link to the invitation. 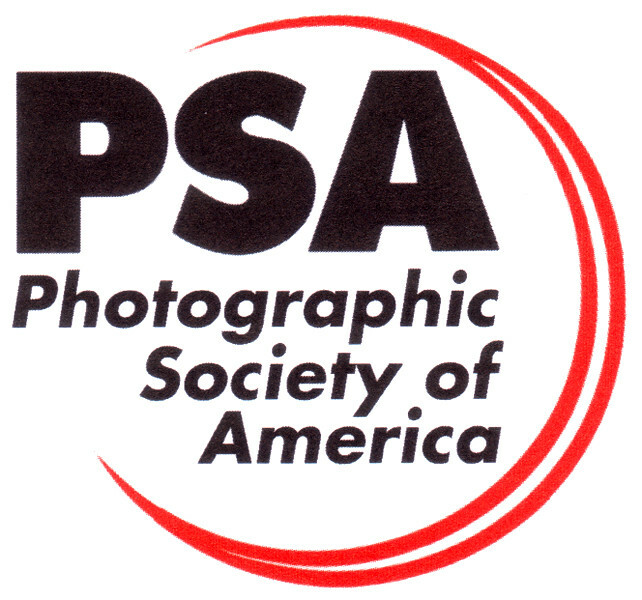 Please let Joe Webster know if you plan to attend - http://test.sedonacameraclub.com/PDFs/PhotoForum2016Invite.pdf. Remember the meeting on Monday! Should be a very interesting session. Amy Horn is a good speaker and a knowledgeable photographer. Two more successful mentoring sessions were conducted in February. “Composition” led by Elaine Belvin and “Natural Light” led by Janice Dahl received positive reviews from all attendees. The next mentoring session is “Landscapes” and will be led by Glenn Tamblingson from 7 to 9 PM on March 7th at the Center for Creative Living in the Village of Oak Creek. Invitations to attend will be sent to all those who requested this session in our Mentoring Survey. Others interested in attending should contact Roger Kiel, rekiel@mac.com right away. On March 14th, April 4th and April 18th, John Murphy will be leading workshops on “Macro and Close-Up” photography. These workshops will be limited to a maximum of 10 participants for each session. Invitations to these workshops will be sent to members based on the dates they submitted their requests to the Mentoring Survey. Again, if others are interested in participating in these workshops, please let Roger know, and he will attempt to find a time for you to attend. "Hit me with your Best Shot" (for February 15-29) is "Scary Clouds – Amazing Skies"
We have been asked to place an exhibit in the Clarkdale Public Library for the month of April. The exhibit contact person is Dave Ellison, cinnamonstix039@yahoo.com (928-634-5236). Dave will need volunteers to assist in putting up the show on Friday, April 1st and take down photos Friday, April 30th, both at 10:00 am when the Library opens. A maximum of 5 photographs may be submitted by each paid member. Please keep in mind this is a PUBLIC library and photographs should be appropriate subject matter. Dave will begin accepting submissions at our meeting on Monday, February 29th and March 28th. ALL submissions should be delivered to Dave by our meeting on Monday, March 28th. Alternatively, you may bring your prints to the Library on April 1st if you are helping set up (please make sure you've sent in your titles so the card is made up for our display). If you can't get your prints to the club meetings or are unavailable to assist with set up, please contact Dave to make other arrangements. The due date for submitting the TITLES and other requested info for your prints is Friday, March 18th. Please send Dave your titles as soon as possible, as it helps in the preparation of the show. With each photograph submitted, a 3X5 file card will be printed with the photographer’s name, title of the print and a short statement about the photographer and/or photo (optional). Please also note if your work is for sale. For uniformity, a card will be prepared from this information with the title of the photo and the photographer’s name and placed on the front of the display. Those wishing to sell their work may also put contact information on the back of the photograph. Please do not include prices. Photographs may be color, monochrome or creative. Sizes, please use our Print standards (Click Here) as a quide. Non-standard sizes up to 20X20 are acceptable. All photographs must be mounted and/or matted (no frames). Dave does have room for six framed prints. Contact him for more information. Metal and Canvas images are acceptable but the club assumes no responsibility for the protection of the work (loss or damage). Photos should be mounted on foam core or other stiff material. White mats are encouraged, but not required. Mounted photographs may be shrink wrapped or placed in clear plastic bags for protection of the photo. Thanks and we'll see you on Monday! Snow??? I hope this note finds you warm! Thank you to Elaine for another wonderful meeting in January (and to Scott as well). On behalf of the Club and the Board, I’d like to welcome new members Susan Burr, Julia Connoly, Judy Curnow, Ann and Jack Duffy, Jay Hasker, Ryah Ki, Elaine and Frank Lascher, Rebecca Lynn, Dan Otts, Aurora Spuhler, Pam Taylor, and Carrie Winden. Amy Horn will be presenting Water Drop Photography from her new water project. Normally, capturing macro images in her studio with off camera flash units and an elaborate trigger system, she will bring this setup and demonstrate the process from capture to post processing on these unique images. If you have yet to fill out the form, please do… Our Mentor Survey has been designed to assist the Club as it tries to find the best way to support our mission - to provide area photographers with an opportunity to improve their photographic skills and knowledge and share what they have learned with others who have the same interest. We need/would like your input, please! Remember, this is much more than a mentoring information gathering tool. We are using data to support what we do and we'd really appreciate you taking the time to complete this simple form. Watch the website for upcoming club trips! Brad has a number in design. Please let the trip leaders know right away if you plan to attend! This event will take place on Saturday, March 12th. I'll provide more information regarding the speaker(s) and program in an update later this month. If you’d like to compete in the ACCC digital image and/or print competitions you’ll need to act now. You must have “PRINTS” to me by February 10th at 12-noon. There is also a $1 per image entry fee… Please bring these to our home at 30 Northern Shadows Lane in West Sedona on Monday, Tuesday or Wednesday of next week. John Gafford is going to the Board meeting and will deliver them on our behalf. We have an excel worksheet that you’ll need to fill out as part of the process for PRINT submissions. Please send me a note and I’ll get you the sheet. This needs to be done in advance. For more information, contact me at billmdahl@gmail.com. Want an easy way to become involved with your camera and the Club? Hit me with your BEST SHOT is the Club’s bi-monthly (from the 1st - 14th and from the 15th - end of month) photo assignment. Topics are presented and members can submit images based on that topic. A great reason to practice shooting and/or learn more about the software you use to process your images. We look forward to seeing what you’re up to! Old VS New (February 1-14), Scary Clouds – Amazing Skies (February 15-28), Rain (March 1-14), Self Portrait (March 15-31), Promote Good Health Living (April 1-14), Crazy eyes (April 15-30), Emotions (May 1-14), with more to come!!! Please submit you ideas to Bill at billmdahl@gmail.com. It sounds as if the Art Center is not going to put together another event of this type... more on this later. The SCC mentoring activity will continue in Feb with one session on composition and another on shooting in natural light. The workshop on composition will be on Feb 15 and will be led by Elaine Belvin. The second workshop will cover shooting in natural light. It will be held on Feb.22 and will be led by Janice Dahl. We are planning 2 additional workshops that will be held in March… dates and topics to be announced in February. The February workshops will be held from 7 to 9 PM at The Center for Positive Living in the Village of Oak Creek. Invitation emails will be sent to all those who requested mentoring on those topics in our survey from last fall. The address and driving directions for the Center for Positive Living will be included with those invitations. Meanwhile, if you did not respond to that survey, or did not ask for mentoring on those topics, but now wish to be invited to one or more of these workshops, please contact Stephanie at stephanieb904@gmail.com. We need to know in advance of the mentoring sessions the number of people who want to attend. Our space is limited. Remember, Club meeting tomorrow night, Monday, January 25th. We hope to see you all there. Our Guest speaker (and workshop) will be Scott Stulberg on Travel Photography. Scott has been kind enough to supply us a few tip sheets and a Travel Check-list. I’ve placed these on our website in the members area (CameraClub) - http://www.sedonacameraclub.com/Members-Area/Judging-Jam-Info. On behalf of the Club, I’d like to thank a few people for their efforts supporting our mission over the past few months. Stephanie Brand and Roger Kiel have done an outstanding job with a topic that’s been troubling us as a club – mentoring! They've put together a program that allows people to link up to talk photography, and begun a series of workshops that strongly support learning, asking questions and photographer development. Thank you both sooo much! In conjunction with the effort noted above, thank you to those who have come forward as leaders in supporting the workshops by handling specific topics – Isabelle Lacey, Stephanie (again), Georgia Michalicek, Peter Gassner and Jim Peterson. I’ve heard fantastic reviews from those attending these informal sessions. Again, thank you! I’d also like to thank the trip leaders – Eric Gofreed, Brad Kincaid, Mary Ratner, Greg and Becky Griffin, Isabelle Lacey, Stephanie Brand and Glenn Tamblingson. Great job folks! And if you (yes you) would like to led, Brad is looking for your support for the spring and summer. Please step forward! Brad will tell you more about upcoming trips tomorrow night. Have a look at the images coming in from the Raptor shoot last week (http://www.sedonacameraclub.com/Trips), WOW! That trip was led by Eric Gofreed - you can’t find anyone more enthusiastic and willing to share bird shooting expertise! Being led by an expert like Eric is designed to make you want to get out there and shoot!! Thanks, and we look forward to seeing you tomorrow evening. A number of people wanted me to write out the song I croaked out last nite. I said you’d put it on the website. The greater the depth of field, ha ha. The lesser the depth of field, ho ho. Apertures run from very small numbers (depending on the lens, for example f/2.8, to very large numbers, for example f/22. And the larger the number (e.g. f/22), the smaller the actual opening of the shutter. That small opening results in a picture with a depth of field that is sharp throughout the picture. Foreground subject and background trees or mountains are all quite sharply brought into view. The reverse is also true (but is somewhat dependent on sensor size). That is the smaller the number (e.g. f/2.8) the larger the actual opening of the shutter. The very large opening results in a picture with a very narrow depth of field. The subject will be in focus but the background will be blurred. The blur is called bokeh and the extent of the blur is determined by both how large your camera’s sensor is and how small an opening your lens has. The reason for this is that when the lens opening is very tiny, the light goes through it fairly slowly. That allows more of the picture to be in focus. Conversely, when the lens opening is very large, the light goes through it very very quickly and less of the picture will be in focus. We have three photo-shoots planned that need your attention if you’d like to attend. Please RSVP now to reserve a spot, and as a courtesy to the trip leaders. Remember/consider, spots may be limited and we'd need to set up an additional trip. This is particularly important with Eric's RAPTOR trip. Thank you! Please note: You must be a paid member to participate in club trips. Arizona's Raptor Experience operated by Paul and Ann Schnell will provide opportunities to photograph captive owls and hawks in a natural setting including: Barn Owl, Eurasian Eagle-owl, Saw-whet Owl, Harris Hawk, Swainson’s Hawk, Peregrine Falcon, and a Harris Hawk in flight. This will be an easy shoot as the birds will be perched. Ideally 200 to 400 mm lens on a tripod is preferred to keep photographers a reasonable distance from the birds. Shorter lenses can be accommodated if necessary. For flight shots, check your camera's manual for fast focusing and tracking settings. Eric will help any participants who lack experience shooting birds. Arizona's Raptor Experience is located in Chino Valley and will require about two hours of travel time. Only minimal walking is necessary for this 3-4 hour shoot. A donation of $40 per person is required. Group size is limited to 6, so RSVP to Eric ASAP if you are interested in this trip. A second shoot can be arranged if there is enough interest. If the weather isn’t cooperative, the trip will be postponed for a day or two. Contact Eric Gofreed via email at egofreed@gmail.com or by phone at 928 284 2076 (home) or 928 592 8659 (cell). Devil's Bridge is located on the north side of Capitol Butte (aka Thunder Mtn.) and can be accessed from Dry Creek Road and FR 152 in Sedona. The arch can be photographed from above and below as well as from a couple of vantage points to the north and south. Lenses from extreme wide angle to medium telephoto can be useful. Sunrise at the bridge is a little delayed because of mountains to the east, so we do not need to be there too early. Time permitting, we might also visit Lost Ruin, which is just up the road in a beautiful box canyon. The tentative plan is to meet at the Dry Creek trailhead at 7 am and carpool out FR 152 to the bridge in high clearance vehicles. The hike to Devil’s Bridge is about 3/4 mile with a steep climb to access the top of the arch where there are sheer cliffs. The Lost Ruin is about a ½ mile from FR 152 with moderate elevation gain. An alternate time/date will be considered if the weather is bad. Red Rock or Senior pass required to park at trailhead. Group size is limited to 10. Please contact Brad Kincaid if you are at all interested in this outing so that you receive further information about the trip: bradkincad@gmail.com or 480-861-2450. Day 1 – Travel , Delicate Arch at sunset – also shooting it through the nearby window. Five days may be too long for some, so the best locations are early in the trip , making it possible for people to leave early if desired. While the trip officially ends on the 6th, Elaine and Bill plan to stay a few days over and explore the more offbeat locations like Covert Arch or Delta Pool. If anyone wants to stay longer they can join Elaine and Bill, but the hikes may be more difficult and the locations may not be of the same quality. Bill and Elaine will be staying at the Best Western Plus Greenwell Inn from the 2nd to the 8th. The refundable rate is $90 per night, which includes free breakfast. We highly recommend you book a reservation with free cancellation as weather in Moab can be iffy and you may wish to cancel on short notice. There are many other less expensive or more deluxe lodging choices available in Moab, and tent camping is possible within Arches NP, see http://www.recreation.gov/campsiteCalendar.do?page=matrix&calarvdate=03/01/2016&contractCode=NRSO&parkId=74066 for availability. If you have questions or plan to go please email Bill at wbelvin1@gmail.com, or call him at 928 496-0366. IF you plan to go include the dates you plan to be in Moab, whether you plan to drive or would like to carpool, your cell phone number, and the type of vehicle (4WD or 2WD?) if driving. If you are even thinking of going we suggest you make a cancellable lodging reservation as soon as possible, as March is the beginning of the busy season in Moab and motel rates will go up. The drive to Moab is about six hours from VOC. 2WD cars are fine for almost all locations, and car pooling will be available for those locations needing 4WD. Expect daily highs near 60 degrees, and lows near 30. Snowfall in Moab in March is unlikely but certainly possible. Sunrise is typically 6:45 AM, and sunset 6:15 PM. Days will be long, especially if we shoot at night also. It should be in every Sedona landscape photographers library. Yes, the days are getting longer and spring is just around the corner! I know, it’s a bit early to start thinking this way, but what is with the rain??? We really do need to start thinking about spring and flowers, right. Scott Stulberg will be speaking and sharing images and ideas on travel photography. This is sure to be an energetic evening! Remember, all of the images submitted for Club Competitions are posted online with the critiques provided by the judges for that month. Login to the "Member's Only" area to review what has come in this year (CameraClub)! Watch the website for upcoming club trips! As we move into spring they will just pop up (flowers and bugs, OK - and landscapes (with flowers)...). This event will take place on Saturday, March 12th. If you’d like to compete in the ACCC digital image and/or print competitions you’ll need to start thinking about it now. You must have “PRINTS” ready by February 10th. We had 10 photographers represent the Sedona Camera Club at the 2015 Fall Roundup, entering 106 images as a team. 59 of the 106 received some type of honor. As a Club, we had the second highest average score across the 14 Clubs that took part in the competition. Sticky Stuff (January 1-14), Food Photography (January 15-30), Old VS New (February 1-14), Scary Clouds – Amazing Skies (February 15-28), Rain (March 1-14), Self Portrait (March 15-31), Promote Good Health Living (April 1-14), Crazy eyes (April 15-30), Emotions (May 1-14), with more to come!!! Please submit you ideas to Bill at billmdahl@gmail.com. This year’s event has been canceled. More about this at the January meeting. Need some inspiration to start off the new year? Try these 11 TED talks on photography. Thanks, and we’ll see you on the 25th, if not before. The SCC mentoring activity will begin the new-year with the last 3 of 5 workshops covering “basic” information. The first 2 workshops in December reviewed equipment (cameras and lenses). The January workshops will deal with DSLR Basics, RAW vs. JPEG and Exposure. The first workshop event will be on January 11th and will combine DSLR Basics and RAW vs. JPEG. The leaders for these two subjects are Georgia Michalicek and Peter Gassner. The second workshop event will be on January 18th and will be dedicated to the subject of exposure and led by Jim Peterson. In February the SCC mentoring on more specific and advanced topics will begin. Details for the first of those workshops will be emailed by mid January. The January workshops will be held from 7 to 9 PM at The Center for Positive Living in the Village of Oak Creek. Invitation emails will be sent to all those who requested mentoring in our survey from last fall. The address and driving directions for the Center for Positive Living will be included with those invitations. Meanwhile, if you did not respond to that survey, but now wish to be invited to one or more of these workshops, please contact Roger. It was great to see everyone last night. Again, a big thanks to Becky and Greg Griffin for hosting our Holiday Party, and a wonderful event it was. Also thanks to the Sedona Arts Center for the use of the facility. The 2015-16 Sedona Camera Club Board propose a slight change to the club by-laws in an effort to make our Officer Nomination and Election process more transparent. This item will be discussed at our January meeting and voted on in February. In the past, under our current position, this has been a semi-secret process that just sort of culminated at the April meeting. At this meeting, the announcement of the slate of officers was presented by the President (from a nominating committee appointed by the President/Club in March). There was also a call for nominations from the meeting floor, followed by an immediate vote. Members were given very little time to consider options. The president shall appoint a committee of three at the March meeting to serve as a nominating committee, subject to the approval of the general membership. The nominating committee shall present a slate of six officers and one director at the April meeting. Nominations may be accepted from the floor. No name shall be presented without the prior consent of the nominee. The election of officers shall be held at the April meeting. Installation of officers shall be held at the May meeting. Vacancies in office shall be filled for the current year by a majority vote of the Board of Directors. We’d like to begin the process in February with the announcement of the nominating committee to the membership. The committee will bring the suggested slate of officers to the membership at the March meeting, where nominations from the floor will also be accepted. A vote by Club Members will be taken at the April meeting, including any nominations from the floor at that meeting. What we hope this does is make it clear who is running for office well before the vote, allowing members appropriate time to consider the candidates. The president shall appoint a committee of three at the February meeting to serve as a nominating committee, subject to the approval of the general membership. The nominating committee shall present a slate of six officers and one director at the March meeting. Nominations may be accepted from the floor at the March meeting and again at the April meeting. No name shall be presented without the prior consent of the nominee. Thank you for your time and consideration of this item. Call or text either Greg or Becky Griffin at the numbers provided below if you’ve just decided you can make it. We will add you to the list and collect your $10 at the party. Great people, plus food and drink! 2) The Club Print and Digital competitions for January remain open through December 20th. Please bring Prints to the Holiday Party or make other arrangements with Steve. Digital submissions are in the “Member’s Area” on our website. If you’re new to the club, we’d love to have you involved. If you need any assistance or have any questions, please send me a note or give me a call. Welcome to Tom Wardrup, Steven Wanderman, Lee Otsubo, Neil King, Gary Ishmael, Judy Higelin and Charlie Black, all new members in the Club! To follow is the short versions of what's happening in December, plus the things the Club needs your input on. We wish you all a fantastic holiday season! 1) Were you at the November 30 Club meeting? If so, we’d love your feedback, please. We have a simple six-question survey we’d like you to complete, three for the workshop (page 1) and three for the main speaker (page 2). Thank you in advance for your participation!!! Anyone who was unable to attend Monday's club meeting and still wanting to attend the party, please let us know by December 7th - at the latest. Call or text either Greg or Becky Griffin at the numbers provided below. We will add you to the list and collect your $10 at the party. A slide show will be provided featuring your photos from competitions, best shot themes, and trips so far this club year. Please plan to join us! Thank you to Stephanie Brand and Roger Kiel for setting up the first in a series of Mentoring Workshops/Discussions. It was held this past Monday with 11 members in attendance. Stepahnie spoke on concepts to consider when purchasing a camera and Isabelle on concepts to consider when purchasing a lense (or lens). There are a number of sessions to follow. Keep your eye on the web for more details. Club Trips - Watch the website for fall trips! We’ll have this totally updated shortly. Thanks for your patience! Dec 9, Half-Day, Merry-Go-Round and/or Cow Pies led by Brad Kincaid. Both are near the top of Schnebly Hill Road. These are very scenic locations with views of Mitten Ridge and Bear Wallow Canyon that can be especially dramatic at sunset and whenever the weather enhances the scene. Club Print and Digital competitions for January remain open through December 20th. See the website for details. Feedback from SCC members indicates that Photo Trips are an important component of SCC experience. These include longer overnight and multiday trips as well as local day trips. Members have expressed interested in all kinds of locations ranging from urban to wilderness and levels of access from our Sedona backyard to hiking and backpacking. This fall we have had a good number great photo trips with a few more already scheduled for the future. Now we need to fill up our photo trip schedule for the winter and spring. Do you know of a good photo location near or far that you think others might enjoy for a local day trip or a longer overnight trip? Please consider leading an SCC photo trip to your location. Contact Brad Kincaid at bradkincaid@gmail.com with your ideas for photo trips. He will help you as much as possible to organize your photo trip. Wine Country (December 1-14), The art of Nature (December 15-31), Sticky Stuff (January 1-14), Food Photography (January 15-30), Old VS New (February 1-14), Scary Clouds – Amazing Skies (February 15-28), Rain (March 1-14), Self Portrait (March 15-31), Promote Good Health Living (April 1-14), Crazy eyes (April 15-30), Emotions (May 1-14), with more to come!!! Please submit you ideas to Bill at billmdahl@gmail.com. Given Lee Otsubto’s talk on color management I thought it might be a good idea to let everyone know the Club has an older version of “colormunki” display calibrator by x-rite for use by everyone. Please make inquiries for use to me. I’ll check it out and in if you are interested in calibrating your screen. This year’s event has been scheduled for the period May 19-22. The club will again have a juried show at the Sedona Art Center. More to come as this develops, but it is likely to be a much smaller event held totally at the Art Center complex. Thanks for your time! If appropriate, please complete the survey in 1)> We hope to see you all on the 14th. This year's Camera Club holiday party will take place on Monday, December 14th, at 6:00 PM. Like last year, it will be held at the Sedona Arts Center. Everyone interested in attending, please signing up at Monday's Camera Club meeting so we have an accurate count. We will also need to collect $10 from each person planning to attend. Sandwiches will be provided from Wildflower Bread Company. BYOB (and maybe some to share!! ), as well as an appetizer, a side dish, or a dessert to share with all. Anyone unable to attend Monday's club meeting and still wanting to attend the party must let us know by December 7th - at the latest. Call or text either Greg or Becky Griffin at the numbers provided below. We will add you to the list and then collect your $10 at the party. MENTORING Update - See the December 3 program - CAMRERA and LENS. Club Meeting on Monday, November 30, featuring Bonnie Miller (Using Flash and Lighting in Photography) and Lee Otsubo (Get the Colors You Want: Color Management on the Cheap). The workshop will be held on Thursday, Dec 3, 2015 from 4-6 pm The first hour, from 4-5, will focus on choosing a camera and the second hour will focus on choosing a lens. Stephanie Brand will be running the hour on choosing a camera and Isabelle Lacey will focus on choosing a lens. Village of Oak Creek, Sedona. You are welcome to come for either or both hours depending on your interest and schedule. Please RSVP to Stephanie (stephanieb904@gmail.com) as soon as possible and let her know if you are coming. Please note that the workshop will be starting and ending promptly as another meeting will follow ours that afternoon in that space. Space is limited. PLEASE NOTE: The trip to the Painted Desert has been moved to Wednesday, November 18 due to anticipated poor weather on Monday. Hopefully this may provide you with the opportunity to take part – if so, and you’d like to come, please contact Mary at marysden@gmail.com. The weather will be much better on Wednesday, with temps indicated in the 60’s (vs 30’s on Monday). We hope you can make it! One part of the program was the print and digital image competitions. We had 10 photographers represent the Sedona Camera Club, entering 106 images as a team. 59 of the 106 received some type of honor. WOW, great effort! Each of the 10 club members received some type of honor as well! As a Club, we had the second highest average score across the 14 Clubs that took part in the competition. Again, WOW as we had no idea how this worked. Congratulations to Elaine Belvin with a first place in the Rotating Theme Color Print category (Swirls of Time); to Stephanie Brand with a second place in the Nature Color Print category (Saved from Poachers); to Janice Dahl with a second place in the Open Color Print category (The Power Is On) (she also received the “Larry Crosby Portrait Photography” award for this print); and to John Gafford with a third place in the Projected Images Creative (digital) category! Other participants included Bill Belvin (highest average score for the Club), Charles Gray, Isabelle Lacey, Steve Moody, Glenn Tamblingson and me. Apart from the four awards noted above, the team received 55 honorable mention and ACCC awards combined! To start off, I'd like to thank everyone who attended to the Member’s-Only meeting on October 12th. What a nice discussion! You’re input was fantastic and you’ve left the Board with much to consider. We’ll keep the club apprised as we move forward-we meet for the first time since the meeting next week. Please take a moment to read the update provided by Stephanie and Roger. And than you to both for the effort they are putting into this program! It’s nice to see the enthusiasm building around this. *October was packed with club trips. Thank you to the leaders, Glenn Tamblingson, Stephanie Brand and Isabelle Lacey. *Also, thank you to Dave Ellison for managing the Sedona Library exhibit! *Last year the club had a trip to Death Valley. One of our members who went wanted to share what happened there last month. This video is impressive enough that probably everyone who's been there recently would like to see it. The video illustrates the damage in Death Valley during the recent rains. *Remember, the next club meeting is Monday, November 30th with guest speaker Lee Otsubo, Get the Colors You Want: Color Management on the Cheap. (www.thedigitalphotoguy.com). This looks to be another great meeting. Cottonwood Public Library is morning, Monday, November 2nd at 10 am: The exhibit will run Monday November 2nd through Monday November 30th. **CANCELLED DUE TO WEATHER - Chiricahua National Monument and Sulphur Springs Valley led by Jim Peterson This trip will be rescheduled for early in the new year. Nuts (November 1-14), Odd Couples (November 15-30), Wine Country (December 1-14), The art of Nature (December 15-31), Sticky Stuff (January 1-14), Food Photography (January 15-30), Old VS New (February 1-14), Scary Clouds – Amazing Skies (February 15-28), Rain (March 1-14), Self Portrait (March 15-31), Promote Good Health Living (April 1-14), Crazy eyes (April 15-30), Emotions (May 1-14), with more to come!!! Please submit you ideas to Bill at billmdahl@gmail.com. Club dues for 2015-16 are now due. Please bring them to the September meeting or, if you’d like, you can send them in by mail. Send me an email and I’ll get you the address. You may also want to check the SCC website for gear on sale, local events and other things happening in photography in and around Sedona. Thanks, and we’ll see you on the 30th, if not before. Initial response to the member survey on mentoring was excellent. We quickly received 46 responses. We expect that more responses will come in, especially as new members join the club. Importantly, there was significant interest expressed in being taught in all 35 areas of mentoring proposed. Also, one or more members have offered to teach in every area except one. Over time, SCC intends to establish teaching and learning events in all these areas. We will soon propose specific details on when and how each of these learning areas is to be addressed. Basic skills will be taught first, e.g., how to chose a camera or a lens, DSLR basics, RAW vs JPEG and Exposure. We will begin there so that as many members as possible will soon be able to take advantage of more advanced offerings. We will start mentoring in the more sought-after areas, such as composition, light, macro, focus stacking, time-lapse, HDR, etc., as soon as the basic workshops have been completed. As many of you know, one of the survey questions asked if you would like to have some of your images critiqued by an Advanced Member. Since that process was one on one, it was started immediately. Early feedback on this is most positive. For those of you involved, please compete this initial mentoring exercise over the next couple of months and give us whatever feedback you have. Although detailed plans are not yet available, it is quite probable that [the initial mentoring] some small group workshops will take place at a different time and location than our regular monthly meetings. One location [that] is available at very low cost and the SCC has committed to fund that location for the rest of this club season. It is the Center for Positive Living on Castle Rock Road in VOC. We are most excited about the interest indicated by so many members and anticipate that all of us will have a significant opportunity to learn and grow in aspects of our favorite hobby. 2) Remember Club meeting Monday night, Lear Miller dives into the world of commercial lifestyle and outdoor environmental portraits. – Be there! 3) Photography improves just as much as you practice. With that noted, please submit your digital and print images to this months competitions. The links are up in the Member’s area of our website. Please let me know if you need the password. 2) Grand Canyon – Glenn Tamblingson’s trip is heading out on Tuesday, the 20th of October. This was rated as one of last year’s best trip and looks to be the same this year. Make it if you can! 3) We are now accepting images online for both the NOVEMBER Digital and Print competitions. Go to the members area on our website to submit your images. This month, we look forward to seeing images from everyone! 1.) Thank you to everyone who attended last nights meeting, it was good to have everyone on hand discussing ideas for enhancing the club. If you couldn’t make it, we missed you! 2) BEARIZONA – the trip is this Friday. If you’re new to the club/photography and looking to make some connections, this is a great place to start! It’s a nice venue for practicing shooting live subjects (mostly animals) and a great way to spend a day working your camera. Plus, there will be folks there who can hopefully answer any questions you might have. We will leave Sedona, from behind the far back of the parking lot behind the Art Barn at the Sedona Arts Center between 10 and 10:30 (exact time TBD). That should put us in Williams—in time to get lunch at a place to be announced later. We should arrive at Bearizona with plenty of time to both walk around and do the raptor show as well as the open-air bus tour. Doing the bus tour gives us the best chance possible of seeing the Bison, Black Bear, Dall Sheep, Big Horn Sheep, Mountain Goat, Arctic Wolf and Gray Wolf. This year at Bearizona there are new babies: there are baby buffalo (including a white buffalo), baby longhorns, baby dal sheep and, of course, young bears. Admission fee will be dependent on how many people go and how many cars we take. The most admission (without the bus ride) can cost is the basic adult fare of $20/pp (seniors 62+ are $18/pp + tax). I am inquiring about a group fee and other possible accommodations for a group. It was nice to see so many of you back in Sedona at the meeting last week! If you haven't done so yet, check out the Club's display in the Sedona Library. It's looking good. 1) Were you at last weeks meeting? The September meeting was well attended and packed with information. A big THANK YOU to Elaine Belvin, John Gafford, Greg Griffin and Glenn Tamblingson - Sharing Our Digital Processing and Workflow. I think everyone went away with new knowledge and ideas. We’d also like to thank Chris Williams for his years of service to the club as a Board member as he steps off to concentrate on work. Thanks Chris! We welcome Brad Kincaid to the Board, replacing Chris as Trip Chair-person. Welcome Brad! Commercial lifestyle and destination wedding photographer Lear Miller will dive into the world of commercial lifestyle and outdoor environmental. Lear is a Commercial Lifestyle and Destination Wedding photographer, specializing in adventure and environmental portraiture. Having lived in the southwest his whole life, he knows the bright difficult light and how to work with it any time of day to create flattering portraits. Lear will also run the 6pm workshop, walking through his latest tourism shoot for OH Advertising and the City of Sedona. From location scouting and directing to lens choices and lighting, this workshop is a great overview of capturing outdoor lifestyle portraiture at a commercial level. Saturday, November 14 and will be hosted by the Phoenix Camera Club. All the info can be found at http://arizonacameraclubcouncil.org/events/2015-fall-roundup. As we are a member organization of the ACCC, you are eligible to enter two Digital and/or two Print images for each of the categories in to the Fall Round-up competition. Details can be found at: http://arizonacameraclubcouncil.org/competitions; with the competition rules at http://arizonacameraclubcouncil.org/images/ACCC-Competition-Entry-Rules-2014-12-Rev-X2.pdf. Digital images must be submitted online by Friday, October 9th. Print Images – you need to get your titles to Stephanie Brand (stephanieb904@gmail.com) by Wednesday morning, October 7th and you MUST make arrangements with her to get your prints to her by Friday morning, October 9th. There is plenty going on in October!!! Club dues for 2015-16 are now due. Please bring them to the November meeting or, if you’d like, you can send them in by mail. Send me an email (billmdahl@gmail.com) and I’ll get you the address. Remember, you need to be a paid member to participate in Club competitions and some events. Check the SCC website for gear on sale, local events and other things happening in photography in and around Sedona. Thanks, and we’ll see you on the 26th, if not before. We’d love to see your images as part of the Club’s program! Please take the plunge and submit your images for the digital competition. See the Club website to submit. Print images are due tonight, but you can make arrangements with Steve if need be. Remember, the best way to get better at taking and processing pictures is to practice, practice, practice! Our competitions are a nice and simple place to do so. Kathleen Reader speaks on Wildlife Photography tonight. Meeting starts at 6 with a workshop. We’re planning to be done by about 8:30. Kathleen shares her secrets to photographing wildlife highlighted in her book Capturing the Moment, The Art & Science of Photographing Wild Animals, and will be signing (and selling) copies during the break and after the meeting. There will be an impromptu shoot tomorrow afternoon, Tuesday, September 28th. A group is forming to head up to the Flagstaff area to shoot fall colors. We’ll leave Sedona about 1pm. Please let me know if you are interested in being involved – billmdahl@gmail.com. We'd like to encourage everyone (you) to take part in the exhibits noted below. Yes, the first few time are daunting if you haven't done this before, but both exhibits are good opportunities to share your work and gain some experience in doing so. Having your work exhibited is great for the club as well. We look forward to seeing you on Monday! Please email me if you have any questions. A quick reminder - We'd love to see your work displayed at this years SCC Sedona Library Exhibit! This is a great community event for the club. Please get your image titles to Dave by Friday, September 25. He'd like to have all of the labels for the show printed as soon as possible. We look forward to having your work on display! Remember, Dave will collect images at the September meeting. He’s trying to judge space, can you please let him know if you are planning to place images in the show, and if so, how many – cinnamonstix039@yahoo.com. All of the information for the exhibit can be found on our website (Click Here). As previously noted, we are now members of the Arizona Camera Club Council. The two big events for the ACCC are their Spring and Fall Round-ups. The ACC Fall Round-up is Saturday, November 14 and will be hosted by the Phoenix Camera Club, including, Stephen Johnson as guest speaker. All the info can be found athttp://arizonacameraclubcouncil.org/events/2015-fall-roundup. You are invited to attend! As we are a member organization of the ACCC, you are eligible to enter two images in "each category" of the Projected Image Division and the Print Image Division for the the Fall Round-up. An entry fee of $1 per image is required. Details can be found at: http://arizonacameraclubcouncil.org/competitions; with the competition rules at http://arizonacameraclubcouncil.org/images/ACCC-Competition-Entry-Rules-2014-12-Rev-X2.pdf. Please bring your Print images and entry fees, ready to submit (including ACCC labels), to the September 28th meeting. Please send your titles to billmdahl@gmail.com by September 28th. The Projected Image Division (Digital) link is Projected Image Entry Form. Yikes, autumn is upon us, sort of… I'm sure I can see the light changing? Anyway, we look forward to having most members back in Sedona as we get our 2015-16 program underway. Please take a moment to complete the survey designed to inform the October 12th “Members Only” meeting. Thanks in advance for your participation! The August meeting was well attended and packed with information. A big THANK YOU to Bill Belvin, Peter Gassner, Bonnie Miller and Jim Peterson for participating as a panel and leading us though a very informative discussion. I think everyone went away with new knowledge and ideas. The slides from the presentation can be found on the SCC website at: http://images.sedonacameraclub.com/PDFs/20150831PanelDiscussion.pdf. Remember, the next club meeting is Monday, September 28th with guest speaker Professional Wildlife Photographer, Instructor, Speaker and Author, Kathleen Reeder (http://www.kathleenreeder.com). This looks to be a great meeting. Her photography is stunning! Our workshop will include Elaine Belvin, John Gafford, Greg Griffin and Glenn Tamblingson taking an image from the camera as a raw file and sharing the process they use to produce a final image for display. Sedona Public Library: Thursday October 1st through Saturday October 31st. Cottonwood Public Library: Monday November 2nd through Monday November 30th. This is a big event for the club and Sedona. Each member may submit up to 10 images for the Sedona exhibit. Images need to be submitted to Dave by the September 28th meeting or as you have otherwise arranged with him. Please see the details on our website (Click Here). * Club Trips - Watch the website for fall trips! We’ll have this totally updated shortly. Thanks for your patience! **** As previously noted, we are now members of the Arizona Camera Club Council. The ACC Fall Round-up is Saturday, November 14 and will be hosted by the Phoenix Camera Club. All the info can be found at http://arizonacameraclubcouncil.org/events/2015-fall-roundup. As we are a member organization of the ACCC, you are eligible to enter three Digital and/or three Print images in to their Fall Round-up competition. Details can be found at: http://arizonacameraclubcouncil.org/competitions; with the competition rules at http://arizonacameraclubcouncil.org/images/ACCC-Competition-Entry-Rules-2014-12-Rev-X2.pdf. Please bring your images, ready to submit, to the September meeting. Club dues for 2015-16 are now due. Please bring them to the September meeting or, if you’d like, you can send them in by mail. Send me an email (billmdahl@gmail.com) and I’ll get you the address. Thanks, and we’ll see you on the 28th, if not before. Remember, we have a Club Meeting this coming Monday, August 31st. Doors are open at 5:45 PM at Sedona United Methodist Church, 110 Indian Cliffs Road. Change of plans, we will be in our usual spot. Guest Speakers for a Sedona Camera Club Panel Discussion will be Bill Belvin, Peter Gassner, Bonnie Miller and Jim Peterson. This will be a great discussion for the beginner/newer members looking to learn a bit more on a number of short subjects (check the web for details). We hope to see you there! Print Images are due to Steve for the September competition at the meeting, unless you've made other arrangements with him. Digital Images are being accepted online in the Member’s Area of the SCC website through August 31st. Password for the Member’s Area is CameraClub. This is a great way to build your skills and learn about your camera as well as more about the art of photography - if your new to entering competitions, please don't be shy, we all start at the same place. I/we encourage everyone to take part in the print and digital competitions! Dave now has information online outlining the process for the Sedona Library Exhibit in October and the Cottonwood Exhibit in November. Please take the time to have a look. We’d love to have some of your images in the shows! There will be a second member survey coming out shortly. Please take the time to participate, as these will form the basis of information for our Members Only meeting on October 12th. Please send me/us an email if you have any questions of we can be of any assistance. Thanks for your time and we’ll see you on Monday evening! The 2014 Sedona Library Exhibit will run through the month of October. The exhibit contact person is Dave Ellison, cinnamonstix039@yahoo.com (928-634-5236). We will need volunteers to put up the show on Thursday, October 1st and take down photos Saturday, October 31st both at 10:00 am when the Library opens. A maximum of 10 photographs may be submitted by each paid member. Please keep in mind this is a PUBLIC library and photographs should be appropriate subject matter. Dave will begin accepting submissions at our meeting on Monday, August 31st. ALL submissions should be delivered to Dave by our meeting on Monday, September 31st. Alternatively, you may bring your prints to the Library on October 1st if you are helping set up (please make sure you've sent in your titles so the card is made up for our display). If you can't get your prints to the club meetings or are unavailable to assist with set up, please contact Dave to make other arrangements. The due date for submitting the TITLES and other requested info for your prints is Friday, September 25th. Please send Dave your titles as soon as possible, as it helps in the preparation of the show. All photographs must be mounted and/or matted (no frames). Large photos should be mounted on foam core or other stiff material. White mats are encouraged, but not required. Mounted photographs may be shrink wrapped or placed in clear plastic bags for protection of the photo. The Cottonwood Library Exhibit will run through the month of November. Up to 60 of the photographs in the Sedona Library show will be selected for inclusion in this show. These selections to be determined later. Volunteers helping to take down in Sedona hopefully can assist with the November Cottonwood setup. Cottonwood setup exact dated yet to be determined, probably Saturday November 1st or Monday November 2nd. I hope this note finds you continuing to enjoy what has been a great summer here in Sedona. What a great place to live and explore photography! A big THANK YOU to Bob Coates for presenting Image Competition & Judging as our first meeting of the summer. Bob provided a great overview of what’s needed when submitting images to competitions, coupled with what it takes to critique/judge in a manner that serves everyone well. He was impressed that the club had moved forward with critiquing/judging internally and pointed out how important taking on this challenging area was to his development as a photographer. If you missed Bob’s talk, we can help… Thanks to club member Leslie McCandless, we have the meeting on video and have placed it (in four parts) in the "Club Video" section in the Member’s Area on our website. » The next club meeting is Monday, August 31st. Our hosts, the United Methodist Church, have asked us to try a new venue for our meeting, moving into their main building. They’d like to save on setup, time and heating over the winter if we can make this space work for us. The seating and viewing seem to be much better than where we are now. Let’s see how it works! For AUGUST, let's please meet in the main building. We'll make sure it is marked and the directions are clear. The meeting will include a panel discussion led by Elaine Belvin, with Bill Belvin, Peter Gassner, Bonnie Miller and Jim Peterson on the panel. This will be a great meeting for newer members wanting to learn more about: Full Frame vs Cropped Sensor Cameras; Pros and cons of shooting JPG vs Raw; Shooting in Program Mode, Aperture Priority, Shutter Priority, or Manual; What is a Histogram and how do I use it? ; Focus (How to determine what f stop to use, Where to focus, Back button focus, Manual vs. auto focus – how they work and when to use each one, Focus Stacking); Image Stabilization – what is it and when to use it; Filters (Polarizer, UV, Neutral Density, Split Neutral Density, Workflow (Photo storage, Image manipulation); What is Chromatic Aberration and how to get rid of it; Lens Flare and how to avoid it; and HDR and Panoramas in Lightroom. » DIGITAL IMAGES are now being accepted for the September Digital Competition. Please go to the Member's Area on the Club website to access the online submision form. Digital Images are due on August 31st unless you've made other arrangements with Bill Belvin, Digital Competition Chair (Wbelvin1@gmail.com). » Please bring your PRINT IMAGES for the September Print Competition to the August meeting for Steve Moody, Print Competition Chair. Prints are due at the meeting unless you've made other arrangements with Steve (moodyste100@suddenlink.net). And please remember to submit a digital copy of your print images, going to the Member's Area on the Club website to access the online submission form. This is part of the entry process for PRINT IMAGES and must be completed. * Sedona Public Library: Thursday October 1st through Saturday October 31st. * Cottonwood Public Library: Monday November 2nd through Monday November 30th. » Remember, a bit later this month we’ll send out a survey noted in the June newsletter “General Update” requesting your thoughts on club competitions. This follows on from the request at our April meeting re the discussion of print size. As stated, the Club will hold a Special Members Meeting on October 12th. We’ll also look to discuss competitions in general, club trips and any other items of importance to the membership. 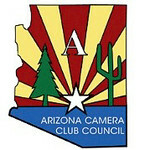 » The club has joined the Arizona Camera Club Council (http://www.arizonacameraclubcouncil.org/) at a cost of $20. This allows our members to take part in ACCC activities/competitions, and will hopefully build our relationships around the state. More on this as things develop. » Club dues for 2015-16 are now due. Please bring them to the August meeting if you can. » As noted, the response to the trip survey was very good. Chris is in the process of putting everything together and we’ll be back with you shortly. Club Trips - Watch the website for upcoming trips! Milkyway and Hummingbirds sometime next week/weekend... Great opportunities for beginners to pick up some expereince. » You may also want to check there for gear on sale, local events and other things happening in photography around Sedona. » This month’s top pick has to be Bob Coates talking to the club. You’ll find it in the Members Area on the SCC website. » A powerful iPhone app called PhotoPills (about $10) has the following features: a planner with map and satellite images, info or sun, moon, and milky way, augmented reality to understand the path of these celestial bodies, exposure calculators (including adjustments for filters), depth of field calculator, and time lapse calculator. As with The Photographer’s Ephremis, the mapping feature can be hard to read on the smaller screen of my iPhone 5. An iPad mini or larger would be better. Unfortunately Photopills is not available on Android devices. Unlike The Photographer’s Ephremis, there is no desktop version of Photopills. » TriggerTrap is available for both Android and iOS mobile devices. TriggerTrap is sort of an intravoltmeter with extended features, ease of use, and lower cost. It does not require a larger tablet screen although can use a tablet with this app. Its functions include: timer, settings for timelapse, HDR (changing shutter speed), star trails, and bramping (changing settings for sunrises and sunsets.) Shuttertrap can’t change focus. But this app can use the facility of smart phone to respond to sound, light, even faces. Some of the applications are more gimmicks whose appeal might fade quickly, but the core features are very good at a reasonable price. For anyone with an ios or Android mobile device, there is a free app that covers most of the above features. Connections to the mobile device cost about $35. A holder on the camera hotshoe can hold an iphone for about $22. Please contact us if we can be of any assistance or answer any questions. See you on the 31st! I hope this note finds you well, having had a great 4th of July weekend. To begin, on behalf of the Club and your Board, we’d like to thank all those who took the time to respond to the Trip Survey! We had well over 50% of the club taking part and have more than enough information to put together a great year. In response to your comments, we’ll work to put in a number of short events designed to support beginning and intermediate members with both photography and software use. More on these as the plan develops. SCC Club Meeting - July 27, 6pm at the Sedona United Methodist Church, 110 Indian Cliffs Road. Bob Coates will be the speaker, focusing on critiquing and scoring images. He’ll look back over our efforts and make suggestions for improving how we tackle this important role. Elaine Belvin will be heading the meeting. We hope to see you all there! The Club Calendar is filling up. Please note the meeting dates so you don’t miss a thing! Please watch the Club website. We are in the process of completing the Trips calendar for the coming year and hope to have trips starting soon. Also, a number of you signed up to be on an email list announcing “quick trips”, events that present themselves on short notice. We’ll also feature these on the Club’s home page as they happen. To begin, on behalf of the Club and your Board, we’d like to thank Ric Cisson for his five years of service on the Board and for his role as the September judge for both the digital and print competitions over that period. We’d also like to thank Al Brown for his combined 12+ years service on the Board, in addition to being our treasurer last year! Al and Ric are stepping off of the Board. We thank both for the countless tasks they’ve performed for the club; from managing PhotoFest through to the printing of the club’s name badges, the list is extensive and has made the club a great place for everyone – Thank you! Also, a big thanks to Stephanie Brand for her service last year as 1st VP Programs. She is also stepping off the Board, but I’m pleased to note Stephanie won’t be going far, and will be working with Roger Kiel (and others as time goes on) to restructure our mentoring program. They will likely share a number of changes at our September meeting. And of course a big thanks to Judy Lovelett for her service as President for the past two-years (and two-years as 1st VP for Programs before that). Fortunately, Judy will continue to help guide the Club at Board level from her position as Past-president! Also stepping down from important roles is: James Young, as Library Exhibit Chairperson; and Elizabeth Dean, Irene Martinez and Betty Morgan as the refreshment team. We never had it so good! Thank you so much for your time and effort! Following on from the request at our April meeting, the Club will hold a Special Members Meeting in October. One of the topics will be our Print Competition and the form the Club might like this to take in the future. We’ll also look to discuss a number of other items of importance to the membership. More on this as we move through the summer. We’ll likely have a couple of surveys looking for your input on future directions. Remember, this is your club, please take the time to participate. SCC Club Meeting - July 27, 6pm at the Sedona United Methodist Church, 110 Indian Cliffs Road, Bob Coates will be the speaker, focusing on critiquing and scoring images. He’ll look back over our efforts and make suggestions for improving how we tackle this important role. Advanced Members, this program is in part a review of our critiquing/scoring over the last year and is designed to help us learn and grow from the experience. You are strongly encouraged to participate. Last year we moved away from professional judges to teams of advanced members for both the digital and print monthly competitions. We'll continue to provide opportunities and information to improve this important skill. Club Trip - Watch the website for summer trips! Want an easy way to become involved with your camera (and the Club)? Hit me with your BEST SHOT is the Club’s bi-monthly (from the 1st - 14th and from the 15th - end of month) photo assignment. Topics are presented and members can submit images based on that topic. A great reason to practice shooting and/or learn more about the software you use to process your images. We look forward to seeing what you’re up to! As a Board, we’d like to add a few educational links to this email each month, but where to start??? There is soooo much available online for learning, it’s overwhelming to try and find a single place to start, but we’ll try. Like most things, it’s more about doing and practicing than trying to be perfect. So here goes. Aaron Nace does a fantastic job teaching how to use Photoshop in ways you can't even imagine.